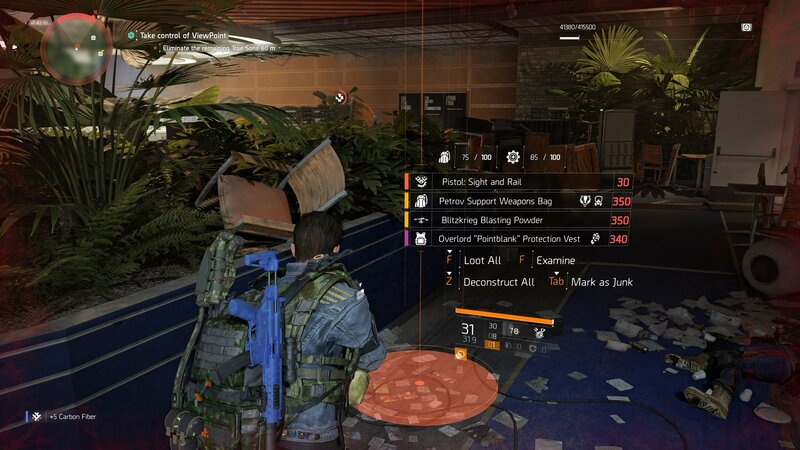 The Liberty Exotic Pistol excels at destroying enemy weak points and electronics, so learn how to get it in The Division 2 with this guide! Pistols may not be your typical go-to choice in The Division 2, but you should definitely make an exception for the Liberty Exotic Pistol. This beefy D50 is a powerful weapon that’s entirely worth collecting, though obtaining it is no simple feat. If you’re after the best sidearm in the business, this guide will teach you how to get the Liberty Exotic Pistol in The Division 2. The Liberty Exotic Pistol will take a lot of work to earn, but it’s worth the effort. You can actually obtain this weapon as early as World Tier 1, but because the stats of the weapon are tied to which Tier you’re in when you get it, we recommend holding off until the endgame. To get the Liberty, you need to have a D50 in your inventory already, as you’ll use this to craft it. If you don’t have one already, get out there and get looting until you find one, then store it in your stash and make sure not to deconstruct or sell it. Once you have that, you can begin working on obtaining the other core components. The first new part you need to make the Liberty Exotic Pistol is the Pistol: Trigger & Mechanism. You’re guaranteed to have received this item if you’ve beaten the Capitol Building Stronghold and reached World Tier 1. So most players will already have this part. Next up is the American History Museum in East Mall. You’re after the Pistol: Receiver & Paint Job, which is earned by beating Captain Briggs at the end of the mission while playing on Normal or Hard difficulty. The next part you need is the Pistol: Sight & Rail. This time you need to complete the Viewpoint Museum mission on Normal difficulty. The boss Staff Sergeant Carl Wade will give you the part when beaten. Finally, the last parts of the Liberty, the Pistol: Grip & Tags and Liberty Blueprint can be earned by heading to the Southwest area to beat the Space Administration HQ mission. Take on Master Sergeant Steve ‘Junior’ Quiroz at the end to receive the parts. 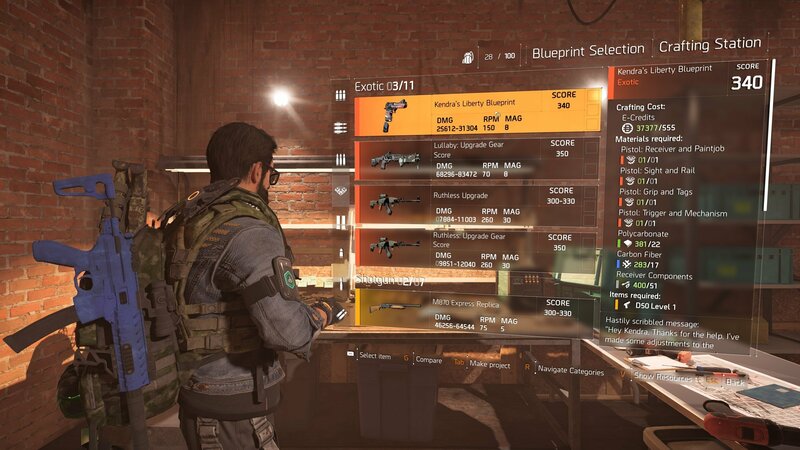 With everything you need obtained, make your way to the crafting station at the Whitehouse (picking up your D50 on the way) to craft the Liberty Exotic Pistol! The Liberty is an interesting weapon that rewards targeting of weak points. We’ll run you through its full set of perks below. Thanks to Shacknews for use of their images in this guide. The Liberty deals 100% bonus damage to enemy electronics. In addition, weak points and electronic devices will be highlighted when aiming. Destroying an enemy weak point or hostile electronic will grant a 500% damage boost to your next shot. If that shot kills an enemy, your magazine will be refilled and you’ll gain a 100% damage buff until you reload. While the Liberty is holstered, destroying enemy weak points with other weapons will refill 20% of that weapon’s magazine. This can be used to generate unlimited ammo when fighting armored enemies. 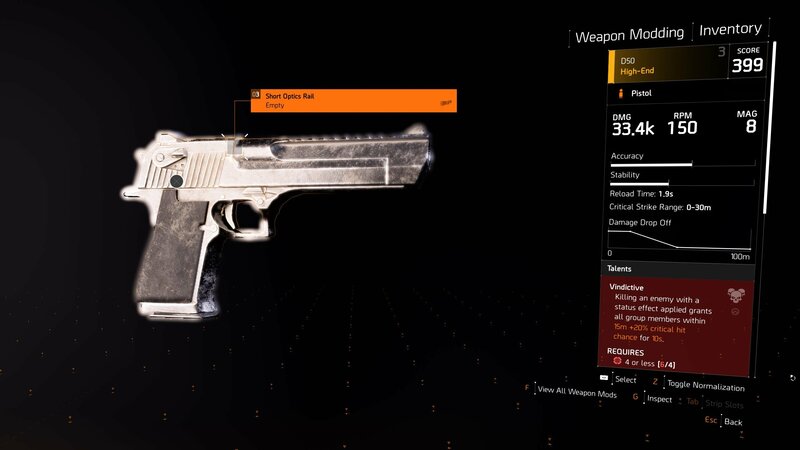 That’s all there is to know on how to get the Liberty Exotic Pistol, but there are more Exotics to earn in The Division 2. We have guides available for the Exotic Merciless Rifle, the Pestilence Exotic LMG, and the Exotic Chatterbox SMG.